For most who visit McLeish, the cellar door provides an opportunity to try our wines and meet the team. However, there’s one team member who is very important to the business and few are given the pleasure of meeting him, and that’s Ted, our trusty vineyard manager! Producing wine in the Hunter Valley is not an easy exercise and Ted bears the brunt of that reality. Long days in the heat, early starts, generous humidity and torrential rain (occasionally even hail!) are all part of his job… A job he’s been doing for 40 years! For Ted Nicolai, 2017 marks his 40th vintage and we are so glad he’s chosen to celebrate this milestone with us at McLeish Estate. Ted began his career in Padthaway, South Australia, working for the large producer, Lindeman’s. This placement at Lindeman’s saw Ted working on a massively scaled vineyard of approximately 1500 acres where he worked his way up to Leading Hand of the Vineyard Team. 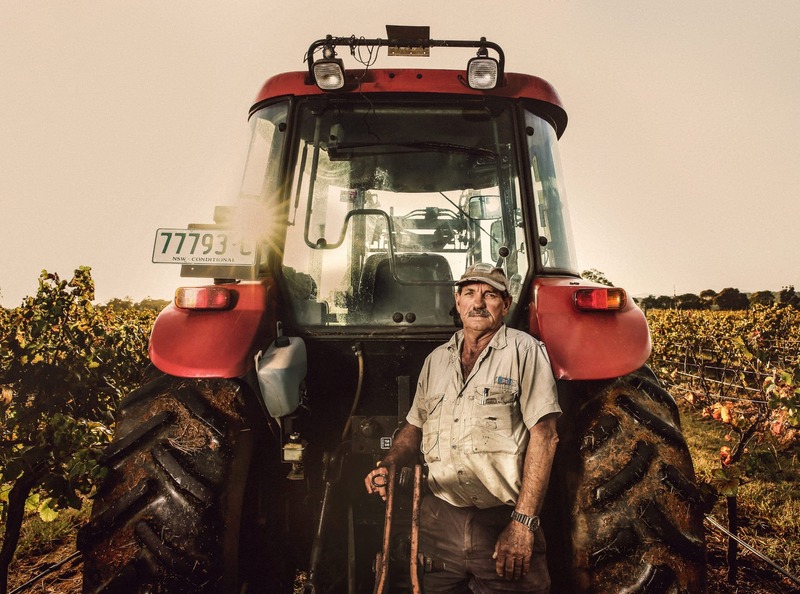 Over a 17 year period Ted’s role in Padthaway saw him engaged in a myriad of tasks which included all facets of vineyard and property maintenance. When speaking of his time in Padthaway, Ted speaks very fondly of his days spent exploding rocks to make way for irrigation and of the massive yield the vineyard would produce (apparently some years they got a whopping 35 tonnes of grapes per ACRE!!). Moving on from the around the clock shifts and huge scale of the Padthaway region, Ted arrived in the Hunter Valley. Ted’s first position in the Hunter lasted him 13 years where he served as the vineyard manager of the well-renowned Rothbury Estate. During Ted’s time at Rothbury he worked across a number of vineyards and regions which included Pokolbin, Broke, Cowra and Denman. With such distance between vineyards, Ted recollects the long shifts he would have to work during vintage time. Some years spending all night behind the wheel of the harvesting tractor and then the daylight hours spent tending to other jobs and responsibilities around the vineyard. As we all know, Vintage is a very busy time of year for all at the Estate! Once vintage wound up in the Hunter, Ted’s focus would move further south to Cowra where vintage was just heating up. After a short stint at Robyn Drayton’s (Just up the road from us!) Ted joined the McLeish Team and we are so glad that he did! Ted has worked tirelessly to care for our vineyard and property and has ensured that we continue to improve the quality of fruit with each vintage that passes. As we all know, great fruit means great wine and we are very proud of the wine which we are fortunate enough to produce thanks to Ted’s hard work and dedication. Congratulations on your 40th vintage Ted. We asked Mother Nature to provide you with a ripper season for your 40th vintage and we think she’s pulled through! Albeit a little hot.